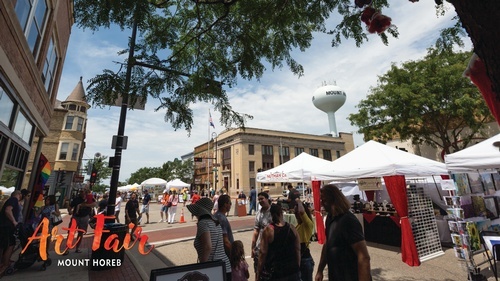 The 48th Annual Art Fair on Mount Horeb’s historic main street, our Trollway, showcases fine artists & crafters from around the Midwest. Experience Norwegian culture, friendly atmosphere, food, silent art auction, music and downtown amenities. Also, presented by Sons of Norway, a Kaffe Stue (Norwegian lunch). Travelers from all over the Midwest come to discover great artists and what Mount Horeb has to offer. Come explore our charming downtown and find our welcoming handmade trolls. We look forward to meeting you at the 48th Annual Mount Horeb Art Fair!